Another storm will cross the South Wednesday to Friday, producing more severe weather. Friday I am thinking could be a tornado day in the Carolina’s as the trough closes off and the 850 mb jet strengthens. 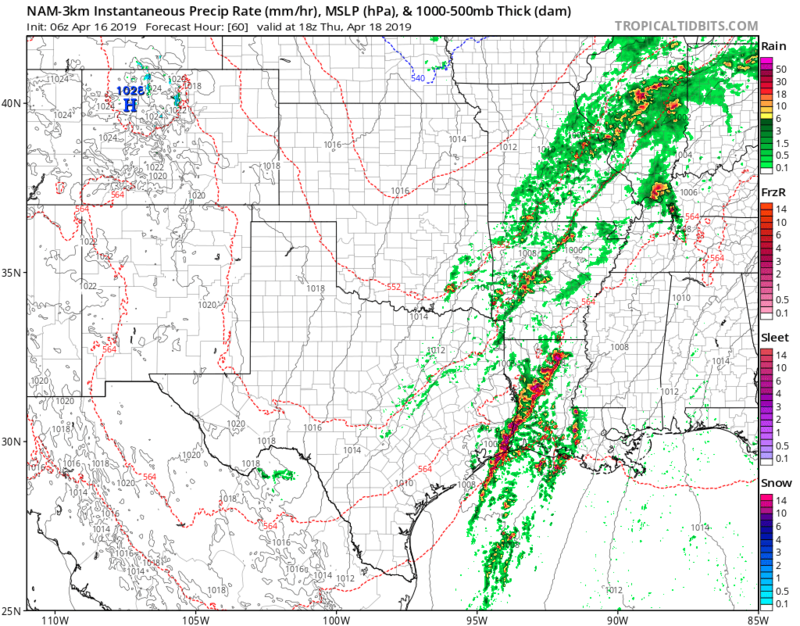 Wednesday, the start of the outbreak could see a tornado threat across parts of central Texas but I think the storms will quickly form a squall line with wind damage and hail that will cut across eastern Texas into Louisiana. That same squall line will continue to move across the South on Thursday with wind damage and hail. Friday, the trough closes and the 850 mb winds increase which I think will increase the threat for tornadoes across the Carolina’s into Virginia. It will all depend on the remains of the squall line and the amount of cloud cover. In addition, bands of heavy thunderstorms with flooding rains will develop and move into the Northeast later Friday and Saturday resulting in a flooding threat given the already soggy ground from recent storms. 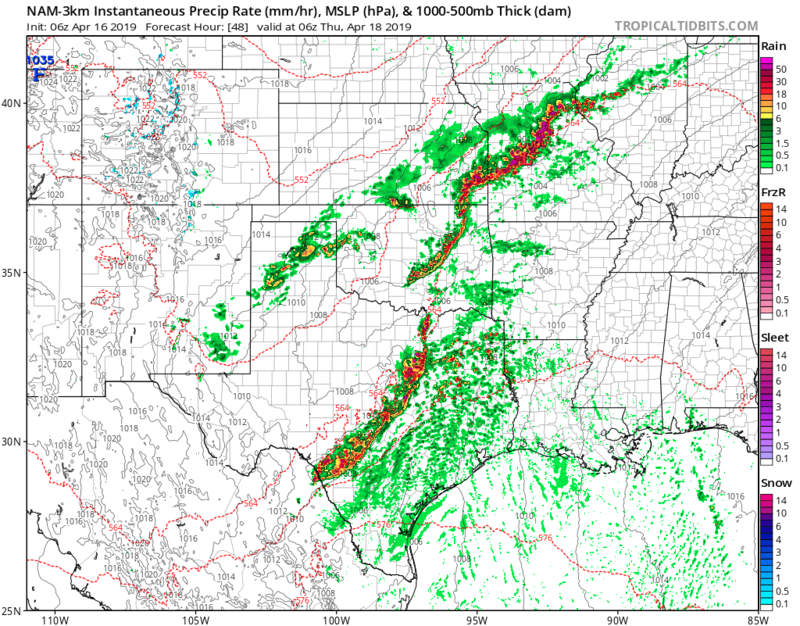 Below are the NAM 3km radar simulations that show the evolution of the squall line. Thanks Henry, been looking for some inform on the severity of the store coming to northern Baltimore county on Friday.